For 10 people or more: Menu 1: 2-3 different kind of salads, 1-2 piece of cake. Possibility to get the quiche and the soup for an extra 3.50€ or Menu 2: SIGNATURE BOWLS; Burrito Bowl/Oriental Bowl/ New Avocado Bowl. Half Wrap per Person and Dessert. 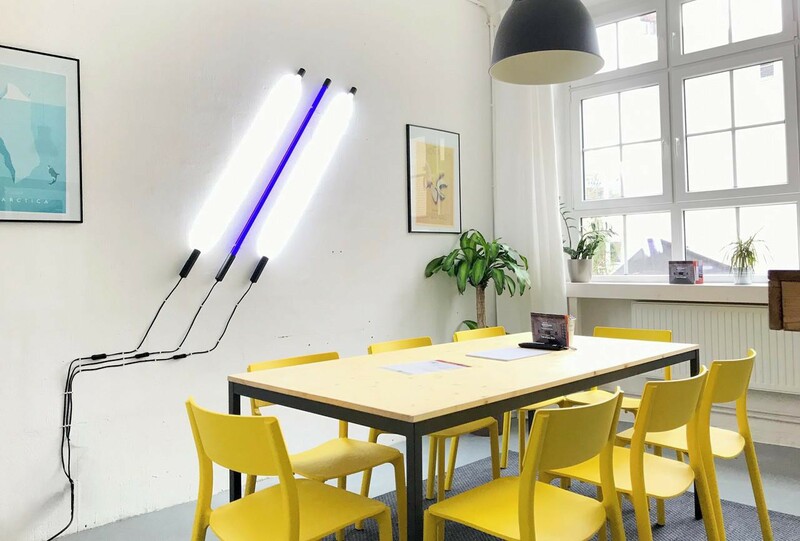 This is the perfect conference venue in Berlin to work and meet for smaller teams at an amazing price in Berlin Kreuzberg. 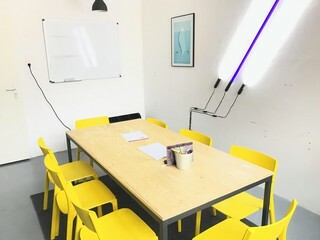 The meeting room is ideal for seminars or meetings up to 8 people, featuring a large rustic table that invites you to conduct exciting and productive discussions. We enjoy giving tips on what to see in Berlin. Especially for our favorite neighbourhood Kreuzberg with the relaxing Landwehrkanal we have many recommendations. In case you book the meeting room throughout lunchtime, you should take your time to enjoy one of the many restaurant around our office. 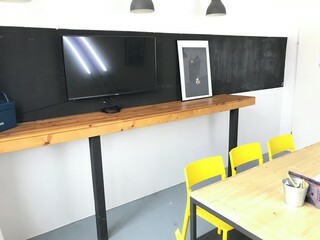 The room is equipped with a whiteboard and TV Screen for a small extra charge. Moreover, you can also request for a Flipchart or Facilitator Box. Use of our sanitary facilities and Wifi are included in the price. 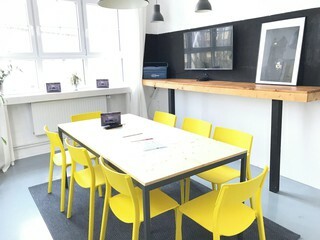 This conference room is in the heart of Kreuzberg Berlin; two minutes walking-distance you will find the Subway Station Görlitzer Bahnhof (U1 and U3) and 5 minutes way the station Kottbusser Tor (U1, U3, U8). Alexanderplatz is 10 minutes away by public transport. 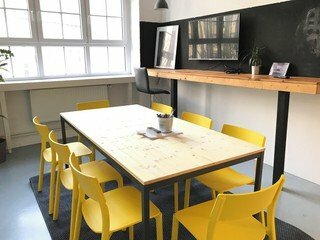 IMPORTANT: You are renting only the meeting room, not the common area of the office. This room is not suitable for separate group activities. 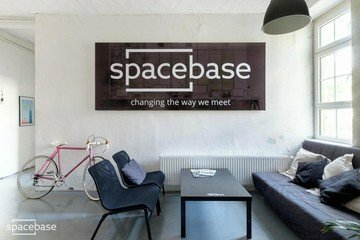 Ein schöner Raum, alles funktioniert, unkomplizierte Abwicklung, nette und kompetente Ansprechpartner(in). Preis-Leistung = TOP! ... alles wie abgesprochen - sehr verlässlich!! Orga und Raum standen schnell, ordentlich und kurzfristig (habe 1,5h voher gebucht) zur Verfügung. Raum ist gut ausgestattet und sieht genauso aus wie auf dem Bild. Kleines Manko: es schallt arg in dem Raum. Everything was fine except the noise. It was very loud. easy accessable. nice room for flexible work. Leider war es viel zu kalt. 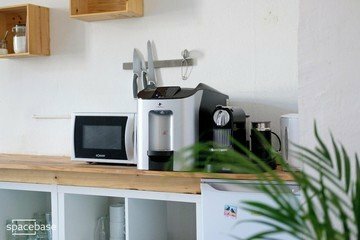 Die Heizung hat es nicht geschafft den Raum komplett aufzuheizen. Die Auswahl an Tee könnte größer sein, vor allem wenn man bedenkt, dass man dafür extra zahlt.